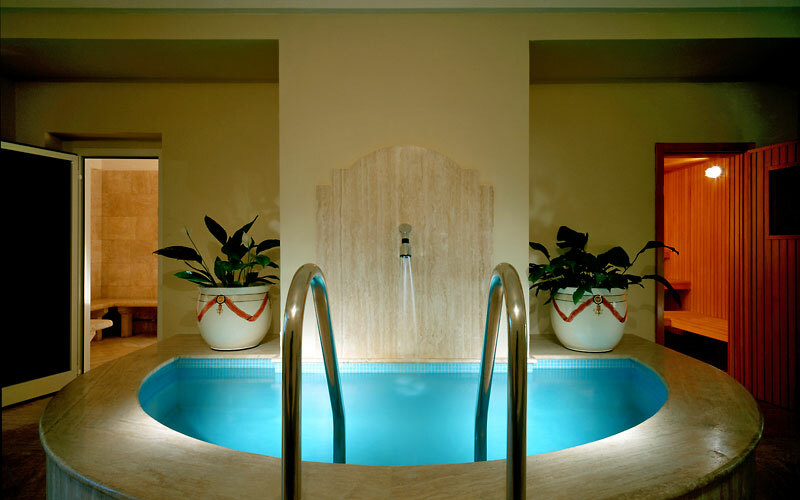 An authentic Grand Hotel in one of the country's most celebrated spa towns. 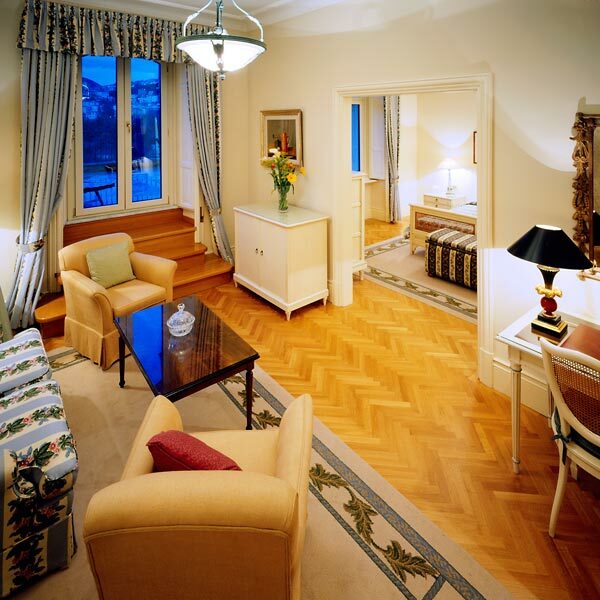 Fiuggi's Grand Hotel Palazzo della Fonte is an magnificent icon of Italy's hospitality. 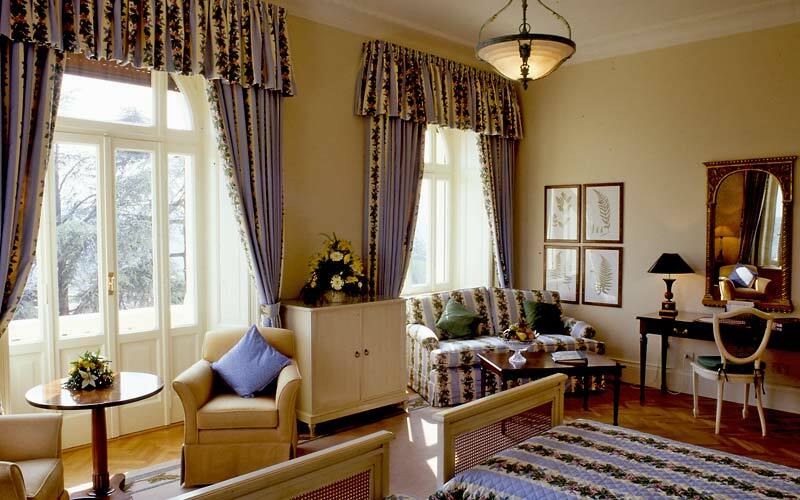 A stunning example of Italian Liberty style architecture, the hotel opened in the early 20th century and was immediately elected one of the favourite retreats of the European aristocracy, and of an ever growing community of artists, intellectuals and politicians. 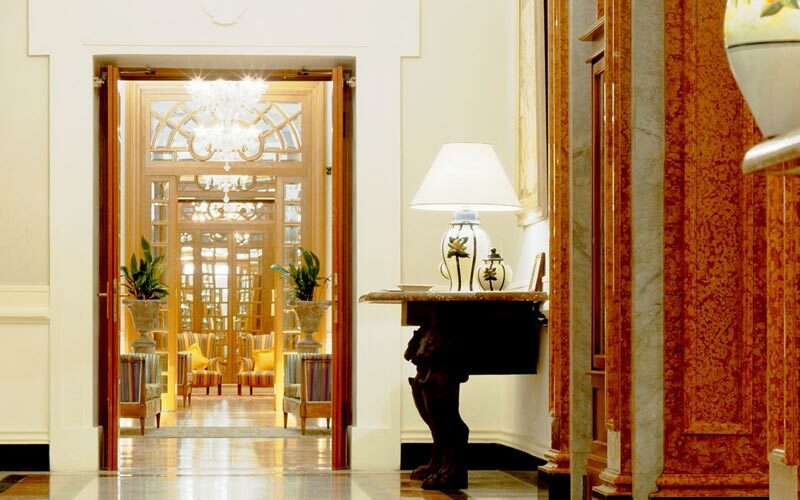 Almost a hundred years have passed since the Palazzo della Fonte welcomed its first guests, and yet the charm of the Grand Hotel has remained gracefully unaltered. 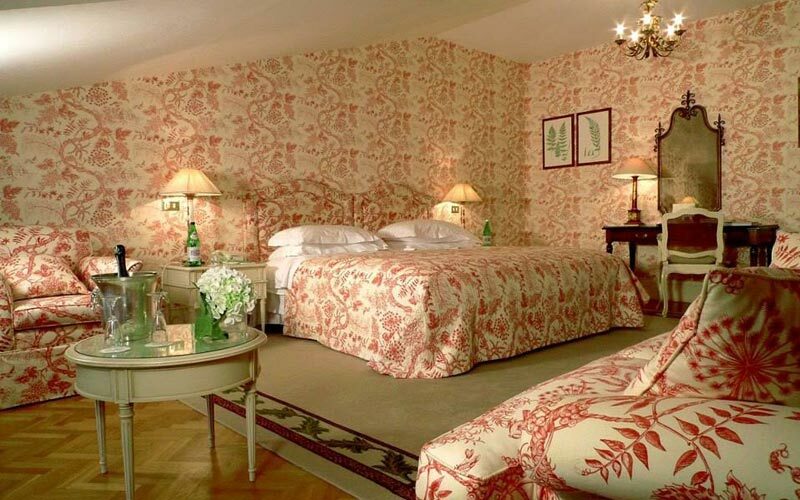 In the hotel's 150 bedrooms and suites, antique furniture, ornate stucco work sand precious marbles combine with state-of-the-art technology to create an alluring juxtaposition of old world glamour and contemporary comfort. 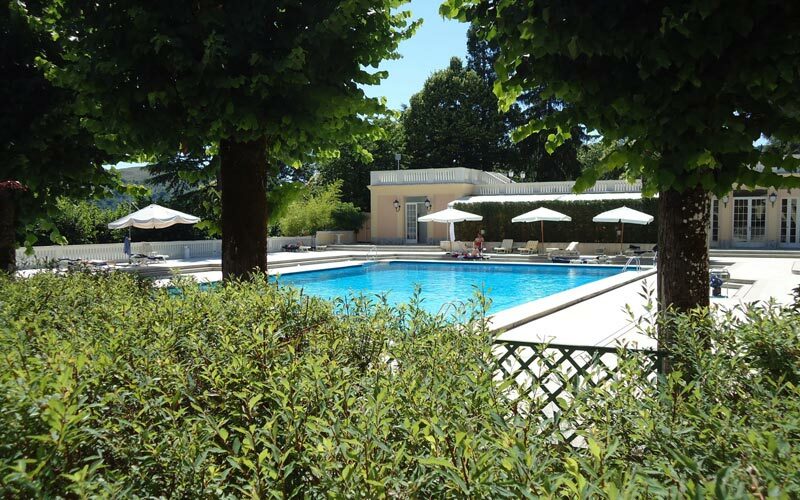 For centuries, Fiuggi has been known for its curative thermal springs, and still today the vast majority of those coming to this little town in the hills one hour south of Rome, do so to reap the benefits of its health inducing mineral waters. 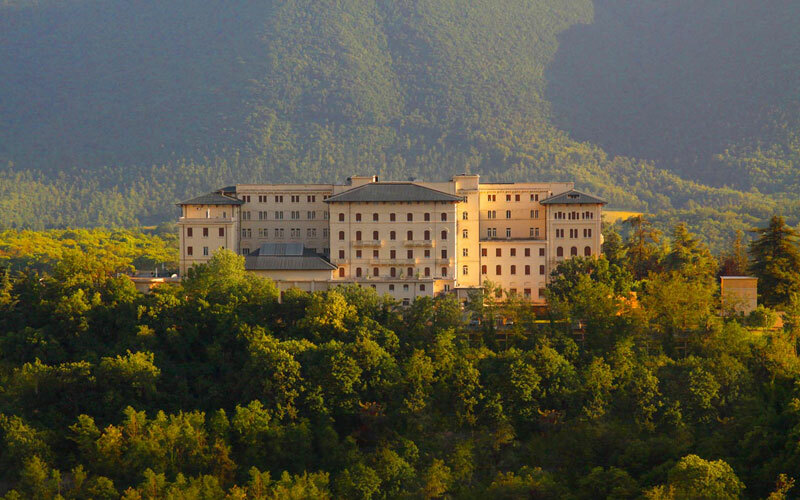 The Grand Hotel Palazzo della Fonte's spa is a authentic oasis of wellbeing, in which to indulge in an impressive range of both traditional spa therapies and latest hi-tech beauty treatments, all of which personalised to meet the specific needs of each individual. 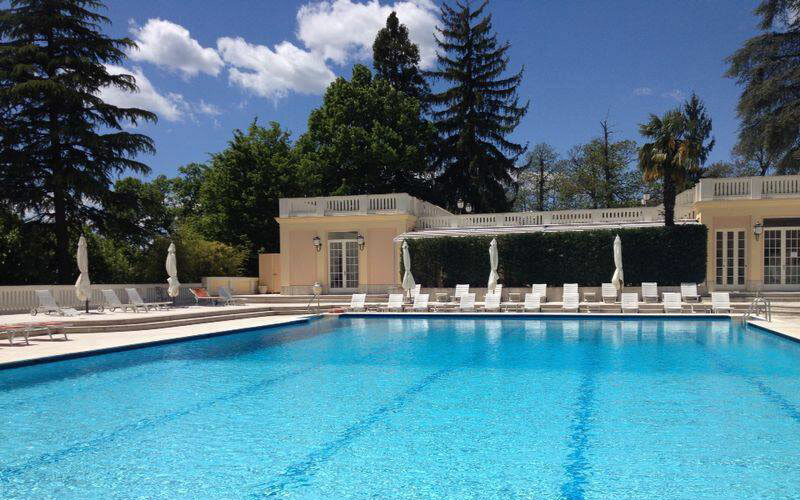 Whether they choose to dine in the elegant "Savoy" restaurant or the casual "Portico" restaurant by the pool, guests staying at Fiuggi's Grand Hotel Palazzo della Fonte can expect to experience exquisite regional and international cuisine, masterly prepared using only the very finest of locally sourced ingredients. 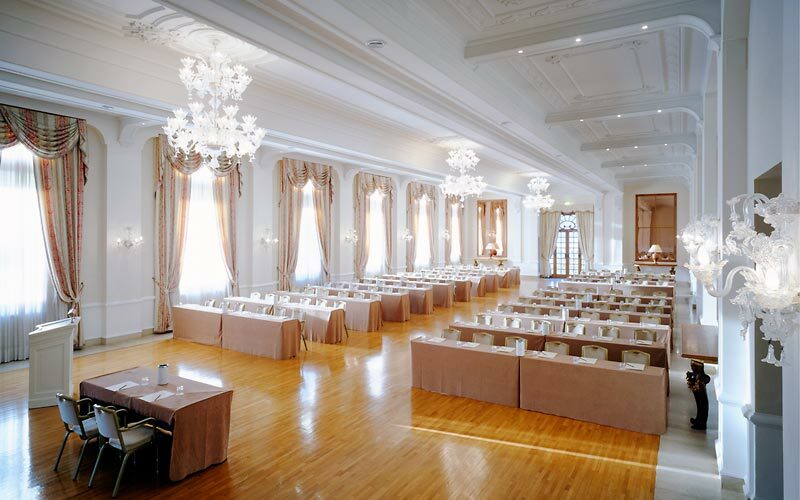 With its 11 multifunctional meeting rooms, including the sumptuous "4 Continents Salon", "Ballroom", and "Hall of Frescoes", it's not surprising if Grand Hotel Palazzo della Fonte is one of Lazio's most sought-after locations in which to host both high-profile conferences and glamorous social events. 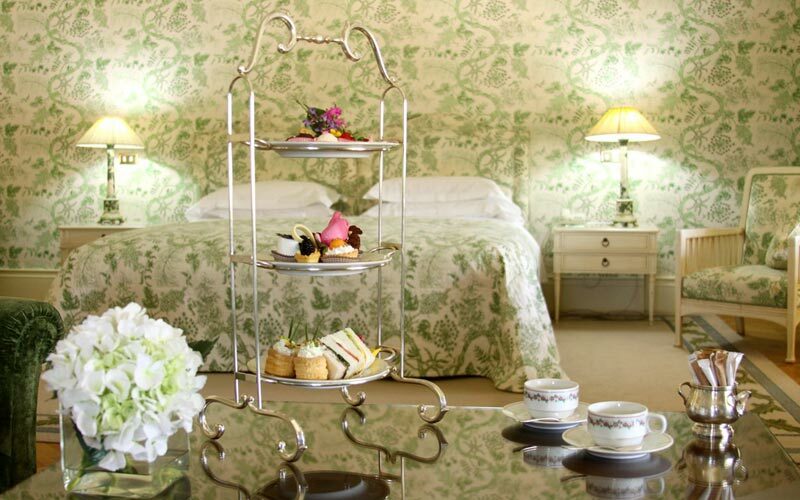 The ultimate destination for a dream wedding reception, the hotel also organises original Spa parties' complete with personalised wellness programmes for the bride-to-be. 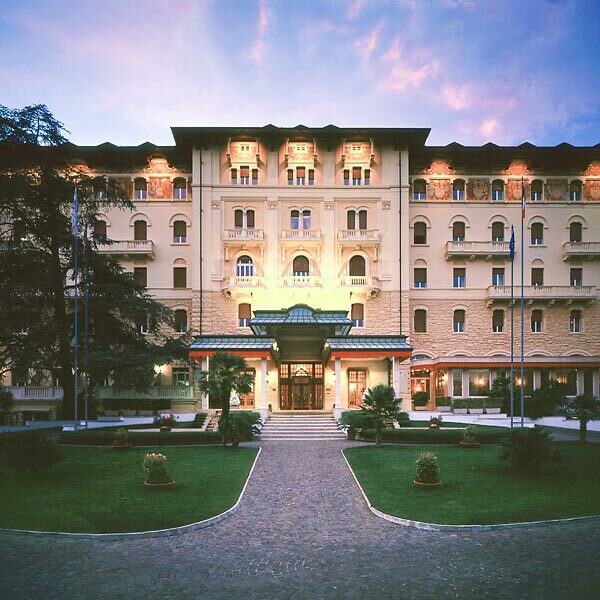 The retrò elegance of a Liberty style "Grand Hotel", in the spa town of Fiuggi. 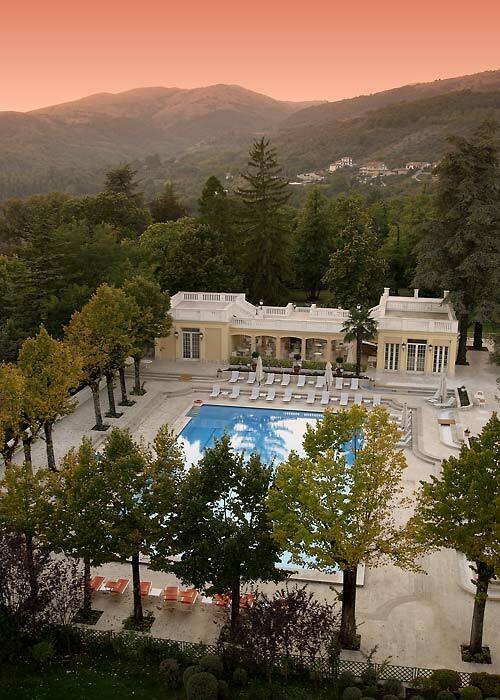 The 1500sqm wellness spa amidst the hills surrounding Rome. 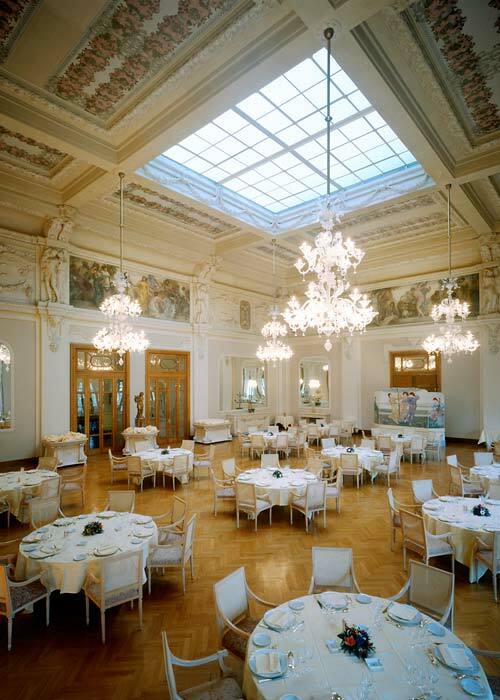 The contemporary twist given to the cuisine of Ciociaria, in the "Savoia" restaurant. 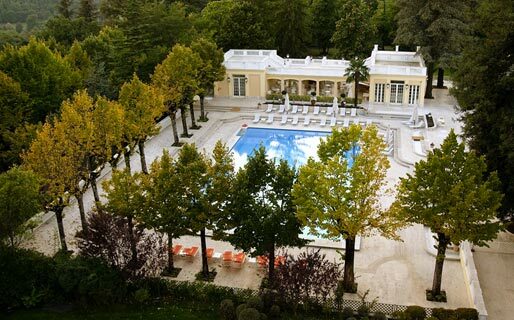 Although Fiuggi has been famous for the health-inducing properties of its mineral waters since ancient times, it was not until the start of the 20th century that this small town developed into one of Italy's most important thermal stations. It was in this period that Grande Hotel Palazzo della Fonte, a sumptuous Liberty style monument in the centre of Fiuggi, was inaugurated. 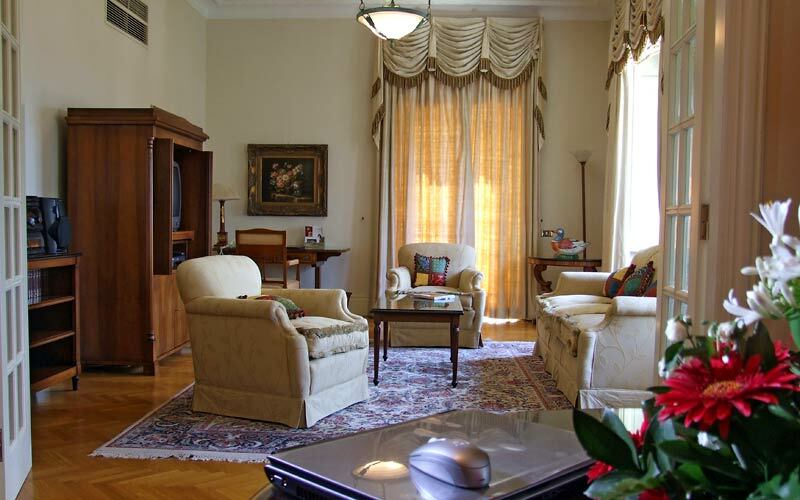 Within easy reach of the Italian capital, Fiuggi is only an hour's drive away from Rome.